Looking for AZ mobile home parks in Mesa with an active community? Palm Gardens is the perfect place for you. These are the a few culture and nature rich places to visit in Mesa ranked by their distance from your AZ mobile home in Pam Gardens. ce we suggest going to the Gilbert Farmers Market. 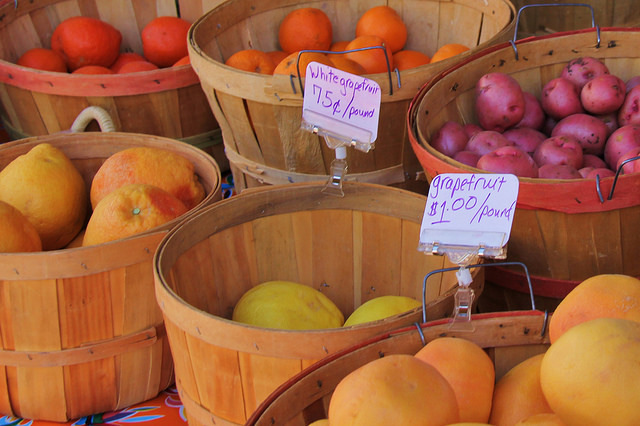 Get to know some of the local farmers and shop for the best fruits and vegetables. Farmers markets help support local business owners and farmers so instead of driving to a supermarket travel only 7 minutes, and get fresher produce. The Royal Palms Golf Course is a great, affordable place to play 9 holes of golf at only $8 starting May 3- September 30. Or you can hit the driving range for $6 with unlimited golf balls. There are three Par-4′s and six Par-3′s with water and bunkers on 6 of the 9 holes. This is a great course for beginners or if you are more skilled you could join one of their golf leagues. The Arizona Museum of Natural History is a great place to visit regardless of your age. For only $10 adults, $9 for seniors 65+ you can visit their Dinosaur Hall and see some of the biggest dinosaurs that ever lived. Also see Arizona’s Paleozoic Seas, Triassic Petrified Forest, monsters of the Cretaceous Seas, and the first animals to fly. Have fun learning about history when you’re exploring Mesa. If you are looking for a local show to attend, take an art class, or simply want to visit an art gallery the Mesa Arts Center is the place to go. You can get tickets to jazz or blues concerts or a comedy show. If you wish to take a ceramics or beading class this summer you can find information on their website. The arts center also has 5 galleries full of beautiful artwork and admission is free! If you are looking for a new place to take a scenic walk you should visit the Riparian Preserve of Water Ranch. Only 11 minutes from Palm Gardens it is the perfect place to walk with a friend. Walk along several dirt paths around beautiful lakes and ponds looking at birds and various plants throughout the ranch. To read more about Arizona Tourism or to learn about an AZ mobile home for sale, visit us today at http://www.palmgardensonline.com!